Our Lord says in our gospel today to the crowd following Him, “You will die in your sin.” (Jn 8:21,24) Sin is not just doing something bad. Sin is, also, to enclose ourselves in on ourselves – to be wrapped up with ourselves. Enclosed in on ourselves in our own petty problems and relying only on human wisdom, we refuse to open ourselves to the horizons of God. This leads to death. A life closed to God is no real life at all. In Holy Scripture people are divided into two camps: those from above, who seek God’s ways, and those from below, who seek limited human goals. 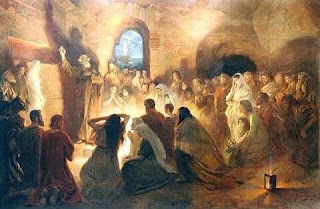 Sin is to refuse to allow oneself to be born again from above, as Jesus told Nicodemus (Jn 3:3). The Jews, Jesus was speaking to, did not believe in Jesus. 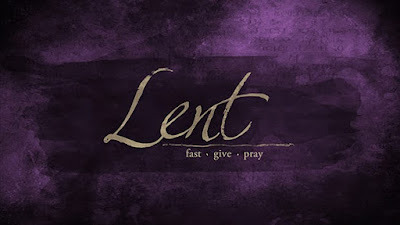 Jesus’ life and Jesus’ message reflected a world of transcendent values and goods – values and goods beyond this world. This did not attract them. Speaking any more with those Jews who did not believe in Him would have been a waste of time. They were closed; they were locked in on their sin. 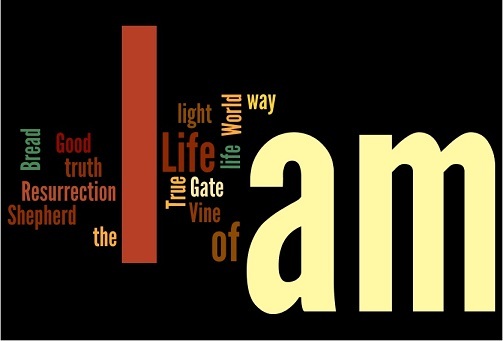 In this part of the Gospel Jesus gives witness to His own divinity by using the expression “I AM” seven times. This was how God designated Himself before Moses, and thus Jews called God “Yahweh”, that is, “He who IS”. Jesus claims for Himself “I AM” which is a claim that should not be applied to any creature. Jesus IS. But the fullest expression of who Jesus IS will be when He is “lifted up”, that is, in His Crucifixion, His Resurrection and in His Ascension.